I got to try out the new Kat Von D perfumes through Influenster this month! 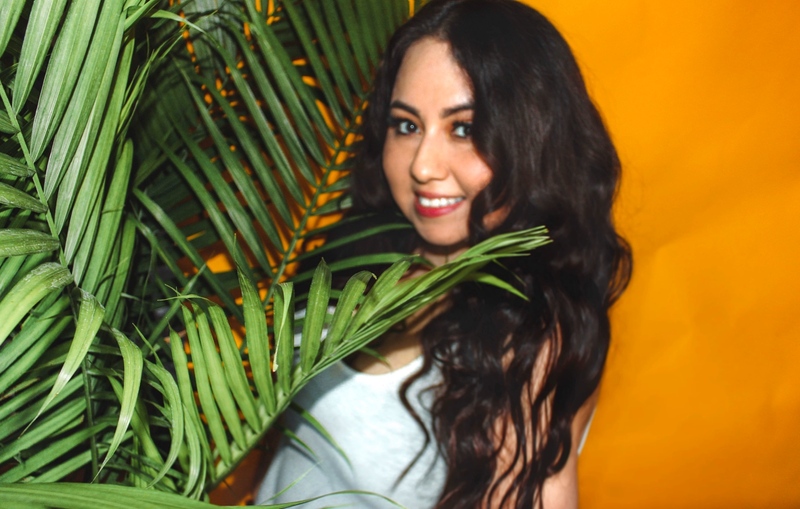 They sent decent sized samples to try out and if you want to know more about Influenster, keep reading! Kat Von D Sinner Perfume: It's not overbearing and feels like an evening type of fragrance. 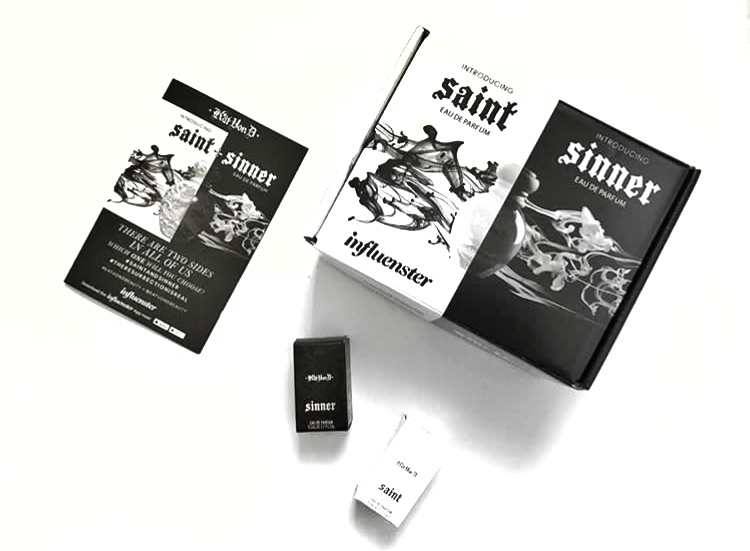 The notes in sinner are; wood, cinnamon, vetiver, patchouli, white floral and jasmine. I can't decide which scent I liked better, but both are perfect for different occasions! Kat Von D Saint Perfume: is a soft, warm floral gourmand fragrance with notes of vanilla, musk, jasmine, mandarin, caramel and sandalwood. The floral here is creamy and understated rather than sharp and overbearing. I would consider this a more day-time perfume. 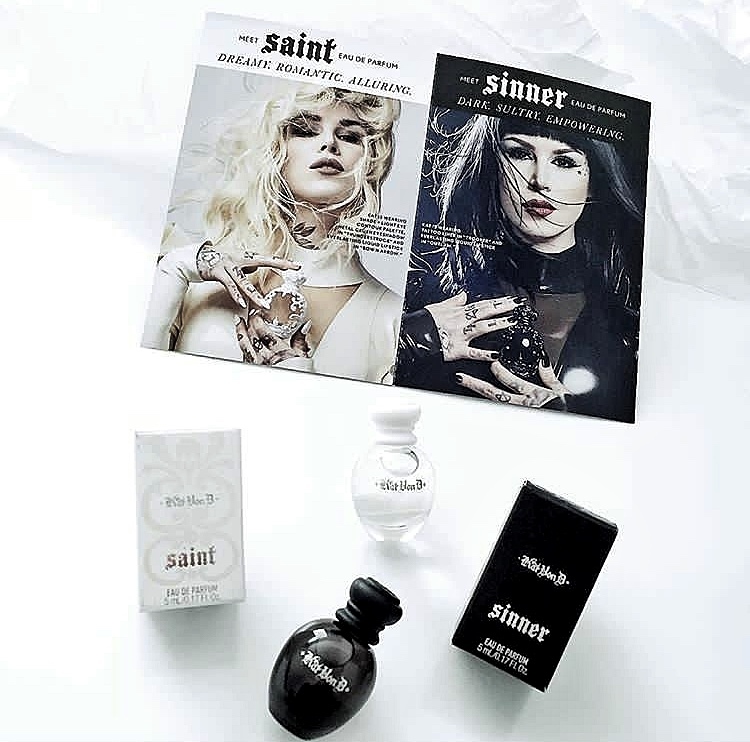 Have you tried Kat Von D's new perfumes?